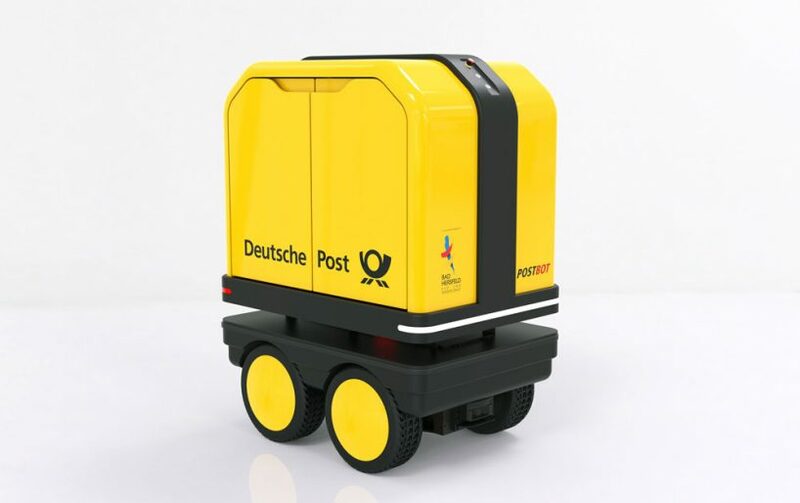 hey there, wait a minute mr. postman — deutsche post has selected a test site for the new autonomous driving robot, PostBOT. 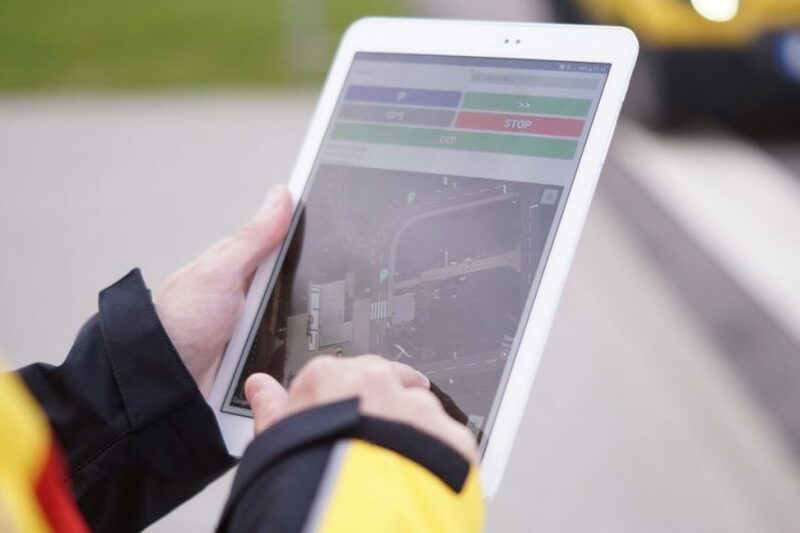 the german postal service has selected the town of bad hersfeld to host the yellow and black machine, which will accompany mail deliverers on their routes and carry their mail items. the little robot is being introduced to help the human deliverer by freeing up their hands. it can carry up to six post trays, relieving carriers of their heavy loads and making it easier for them to distribute the mail. 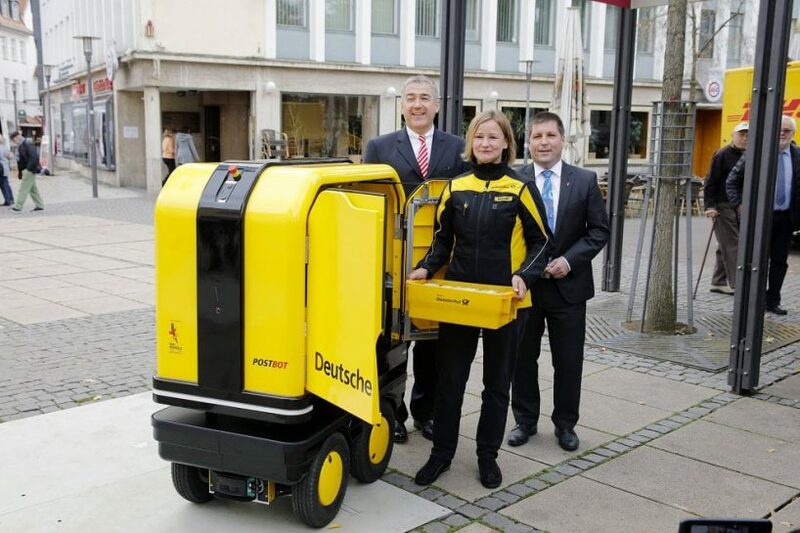 deutsche post will be watching the pilot project carefully to see how well the robot supports staff with their physically demanding work. ‘day in and day out, our delivery staff performs outstanding but exhausting work’, explains jürgen gerdes, CEO of the post – ecommerce – parcel division at deutsche post DHL group. ‘we’re constantly working on new solutions to allow our employees to handle this physically challenging work even as they continue to age.’ the company already uses e-bikes and e-trikes to aid postal deliveries. 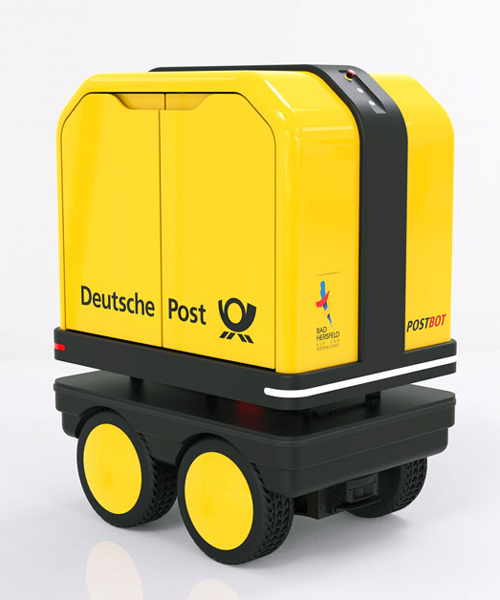 the PostBOT, designed by french company effidence, is custom-built with considerable input from the delivery staff of deutsche post to ensure that it met their specific needs for transporting letters and packages. the robot can carry loads of up to 150 kilograms and follows the mail carrier by sensing their legs throughout the entire route. it can navigate around obstacles when needed and the robust structure — which includes control elements on both sides of the unit to promote good ergonomics for the back and joints — means it can be used in all weather conditions. the test will initially run for roughly six weeks, followed by a period of assessment. those insights will then flow into another round of tests and improvements.